Did you forget about Valentine’s Day? My wife and I never observe the whole Valentine’s Day thing. Partly because we have an important anniversary date around mid-February and partly because we don’t really find the whole holiday very romantic. That’s just us. To each his own. If you’d like to shower your loved one with romance and terms of endearment go right ahead, but don’t let February 14th give you the excuse to go out and buy anything red just to make it look like you made an effort. If you don’t put any thought into what you are giving your significant other, then that probably leaves you scrambling to find something at the last minute. That may lead you to purchasing something like the teddy bear pictured with this post. Convenience stores and gas stations love to display this stuff prominently this time of year. If you would like some ideas on what gift to give, check out our Gift Giving Guides. Although most of the posts were intended for the Christmas season, they can still be used for any gift giving occasion. 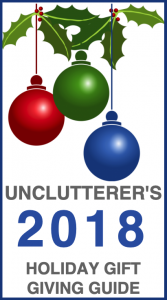 As we talked about in the post Ask Unclutterer: How can I change someone into an unclutterer?” we get many emails asking how unclutterers can live with clutterers. It reminds me of one of those light bulb jokes: How many Psychiatrists does it take to change a light bulb? One, but the light bulb has to want to change. Our clutterful light bulbs — our roommates, significant others — may not want to change. But, there is something that we can change, ourselves. These things may not bug you, but we’re talking about our partners here — the things that bother them. As I got to thinking about Valentine’s Day this year, and realizing that gifts themselves can just contribute to clutter, I thought: how about changing something I do? I ran the idea past my significant other and we agreed it was a good idea. We decided that I will work on keeping the house better stocked with groceries. I’ll make a template with a specific list of items to regularly have on hand (in addition to the staples). It’s the little things that make a difference. Some experts suggest that takes 21 days to form a new habit. I like to use 30 day blocks, however, to be sure the habit gets locked in. 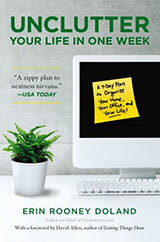 Start Small: Pick just one daily, do-able thing that you’ll take on for 30 days. For example, you commit to putting your clothes in the hamper before bed for the next 30 days. Selecting one thing will put all of your focus there, rather than trying to tackle several habits at once. Be Clear: Be sure that you know clearly whether you’ve accomplished the task or not. For example, is your goal to file paper in your home office for 10 minutes each day or is it to file 1/2 an inch of paper each day? Near dinner time each day, mine task will be to check off food items that need to be purchased this week. Track Progress: Use a calendar, goal-setting software such as Lifetick or create a spreadsheet with 30 boxes to track your progress. A check mark or gold star means you did the task. Leaving the box blank of course means you didn’t do it. Keep It Visible: Have your document pop up on your screensaver, set reminders in your electronic calendar or place in another visible place, such as on the refrigerator. As you’re forming a new habit, you’ll need prompts. Be Consistent: When possible, do the task at the same time every day. This will make the action a routine and, in time, you’ll be pulled to complete it automatically. For instance, pop your jacket into the closet right away when you arrive home each day. Begin: The hardest part is to begin. Pick a start day. Today is a good idea so that you don’t build up resistance to change. And, why wait to surprise your partner with a clean family room or an uncluttered car? 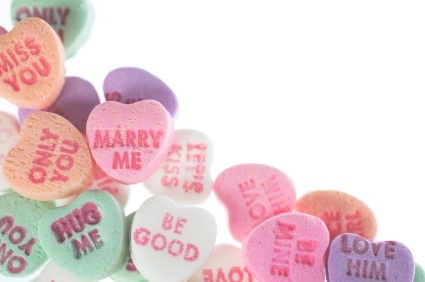 I think creating a productive habit will give you more mileage than your standard Valentine’s Day gifts. Up for the challenge? What habit do you want to take on for 30 days? Let us know in the comments. And, if you choose to go a more traditional route, check out Matt’s post from last week on uncluttered Valentine’s day gifts. Valentine’s day is just around the corner and some of us are probably scrambling to find that perfect gift for their loved one. Don’t let your desperation lead you to your local retailer in search of a gift just for the sake of paying attention to the calendar. We highly recommend consumables as gifts. For example, food, tickets to a performance, or an experience gift. Dinner for two (prepared by you): If you don’t usually cook, do yourself a favor and figure out how to make one dish very well. You can surprise your significant other with an unexpected meal — freshly made and ready to eat. Movie night: Find and rent the first movie that you watched together, no matter how bad it was. It will bring back some memories and if it was a really bad film it will probably make you laugh. Be creative: If you are the creative type, create a collage of photos and mementos or write a poem. If you don’t consider yourself creative, give it a try — you may be surprised at your hidden talent. 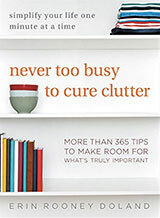 Organize: Surprise your loved one by organizing a particular problem area of your home. Try to choose an area that really gets under their skin. Tickets: Print out a set of redeemable tickets for back rubs, foot rubs, or chores that your partner usually takes upon themselves. Whatever you can think of can be printed onto these redeemable tickets. These are just a handful of ideas, feel free to add your own in the comments section. Gift giving is an art. Some people have an amazing talent at picking out the perfect something. I, however, am not blessed with such a skill. Every now and again I’ll hit one out of the park, but those occasions are rare. I think that it’s my disdain for crowded shopping centers that fuels my ineptitude. Regardless of the reason, my gifts are often received with a strange facial expression and the question, “What is it?” I’ll never forget the gift I got for my sister-in-law that drew the response, “This is such an interesting … uh … watering can?” It was a purse. When I give a gift, I want the gift to be exactly what the recipient wants. I want it to be loved. I also want the gift to not end up as clutter or to cause stress. To avoid giving the imperfect gift or to cause stress, I’ve decided to follow David Seah’s suggestion in his post “Print Your Own ‘Re-Gift Receipts’” and create my own re-gift receipts to accompany my future gifts. I’m not going to write mine up exactly like he has, but the principle is the same: a guilt-free return policy. 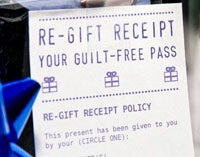 It seems to be such a nice way to let people know that you will in no way be offended if they decide to return your gift. Be sure to check out Seah’s template at the bottom of the post to save yourself time creating your re-gift receipts. This post has been updated since its publication in 2008. Some families draw names for the holidays and each person receives one “big” gift instead of many smaller gifts from different people. If this describes your family, consider some of these pricier organizing items. Back in 2007, we suggested that the Fujitsu ScanSnap would be an ideal gift for someone who struggles with paper clutter. We still stand behind that statement. Technology has improved over the last 11 years. The ScanSnap iX500 model will work with both Mac and PC and connect via wi-fi to tablets and smartphones. You can create searchable multi-page PDFs and sort your files into appropriate folders based on relevant keywords. The duplex function allows both sides of the page to be scanned quickly. This might be the ultimate organizational gift for someone who needs to scan business cards, photos, documents, or hand-written notes. In 2008, our ultimate gift idea was the Kindle. We still believe that for any book lover, it is an excellent gift. Couple your Kindle selection with a subscription to Amazon’s Kindle Unlimited and your recipient will have access to thousands of books for free. The Amazon Echo with added “smart” light bulb might an appreciated gift. I have one in my home and when my hands are full, it is really nice to shout, “Please turn on the basement lights!” Some people may not find any organizational benefit to having these devices and they could pose a security risk to your home. Consider including expert set-up services with the gift to ensure the security risks are minimized. 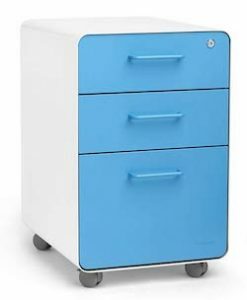 Maybe not as much fun as an electronic device, a stylish filing cabinet might be a great organizational gift for someone who needs a place to keep documents in order and secure. 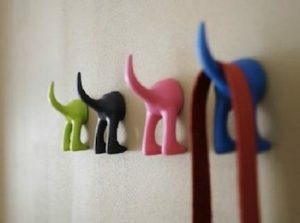 Add some multi-colour, hanging file folders to help the recipient get started. We would be remiss in our duties if we did not at least mention a label maker. This Brady BBP37 Industrial Colour Sign and Label Printer is the ultimate in big gifts and at a whopping $3000, the ultimate in big price tags. However, if you need long-lasting, industrial grade labels to withstand harsh outdoor conditions, this is the label maker to get. But seriously, for everyday use, the Brother Compact Labeler with Carrying Case is a much better (and more reasonably priced) choice. Consider adding a package of labels in assorted colours too. What has been the best organizing gift you have received? Share with our readers to provide some holiday inspiration. The memories created by unique experiences are gifts treasured for the rest of your life. If you are planning on giving an experience gift, don’t just put cash in an envelope and write, “Treat yourself to [experience gift] on me!” Do some research on your recipient’s preferences and the company you will be purchasing from. Take the time to purchase the gift card/certificate and enclose it in a nice card. Some companies will even prepare the card and mail it on your behalf especially if you do not live in the area. Here are some things to think about when buying an experience gift. Does the company have a good reputation for health, safety, business management? You don’t want to find out that the salon where you purchased the pedicure gift certificate will go out of business in the next few months. Will the recipient incur extra expenses in order to use the gift certificate such as high-cost parking fees, hotel, or other travel costs? Is there an expiry date on the coupon or voucher? Can the recipient exchange the voucher for another service offered? If the recipient has limitations, will the company be able to adapt their services? For example, can the restaurant hosting a cooking course adapt to someone with nut allergies? To help you choose which type of experience gift to invest in, we’ve separated them into different categories. Self-care: Gift certificate for a facial, massage, pedicure or manicure. Consultation with personal stylist. Outings: Wine tasting evening, dinner at a restaurant, concert tickets, museum or art gallery special showings. Adventures: Stunt driving, whale watching, flying lessons, white-water rafting, birdwatching tour. Perfect Day Experiences operates only in Canada but their list of experience gifts is impressive! 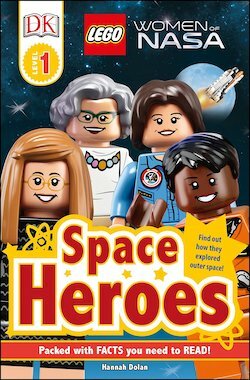 It will inspire your imagination so check out their website for some great ideas.